Eat.Think.Design. Students at Taste Symposium | Eat.Think.Design. 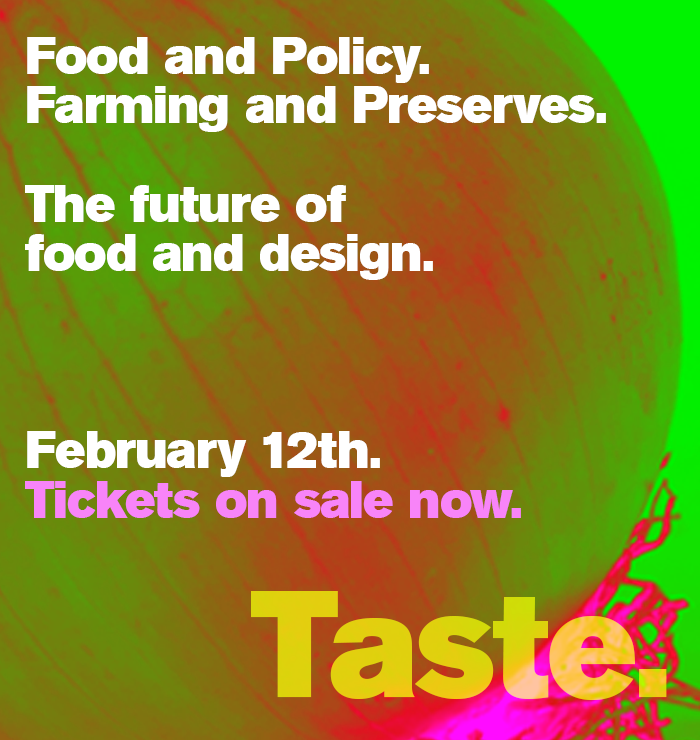 This Friday, February 12th, Design Observer is producing a design conference on food in Los Angeles entitled TASTE. The conference will touch on a broad array of topics from agrarian economics to supply chain resources, dry farming, water harvesting, engineered waste, and more. Featured speakers from across the US and Europe include food-writer Mark Bittman and Lynda Deakin of IDEO. 6 of 25 of our very own Eat.Think.Design. students will be in attendance including a physician-epidemiologist from Nigeria, an MBA who studied superfood in Kenya, a clinical stem researcher with a recent Nature publication on particle imaging, an energy and environment public policy student, an urban planner focused on healthy communities, and a media savvy MPH-nutrition student. For more information, check out Core77’s interview with conference organizer Jessica Helfand. Taste conference organizers have graciously offered a discount to Eat.Think.Design. friends and family. Use the code TASTE for 15% off of conference admittance. Message lila.rubenstein@berkeley.edu if you are an Eat.Think.Design alumni interested in attending – we have a separate discount code.